A few years back, I bought one of these 20 Horror Movies for $5 packs from Wal-Mart. Among the list of titles included was this old gem, The House That Would Not Die. Originally broadcast as an ABC Movie Of The Week in 1970, The House That Would Not Die is one of those made for TV horror movies that really are a different beast all together. I have a soft spot for these kind of horror movies, as it is a bit of a challenge to produce an effectively made horror flick within the confines of the acceptable broadcast television rules. Meaning, drafting something with talent rather than relying on cheep shock value. Some rather good Gothic ghost stories have come from these Movie Of The Week formats. So, how does The House That Would Not Die fare? The story revolves around a house (duh) that was built during the Revolutionary War in Gettysburg, Pennsylvania, that is said to be haunted by the spirits of the original inhabitants. The house is inherited by one Ruth Bennett, who moves in with her niece Sara. The aforementioned spirits don’t take too kindly to this invasion of their personal space, and so the wackiness does ensue, thus leading to the two living beings and a local professor to delves into the history behind the house and deal with the scandal that lead to the haunting. Oh, and Sara and the professor get possessed by the spirits as well at one point. The House That Wouldn’t Die, despite the cheeseball title, is actually a pretty decent old fashioned ghost story that works more on the atmospheric level than the visceral scare level. I’m not saying The House That Wouldn’t Die is a great movie. It’s really just okay, having that early 1970s broadcast television quality to it. No effects beyond superimposing film image for that “ghost possession” look, the film quality grainy, and the acting reminding me of an episode of Little House On The Prairie. It’s worth a rental, at the very least. Another one of those mass market paperback novels that was on sale in some department store or Five-And-Dime where this was probably picked up at. I don’t remember where exactly; all I know is, I didn’t buy it personally—probably my mother, as she was big on those kind of cheep horror novels that were everywhere back then—and I kept seeing it lying around, so I finally just read it a few years ago in an afternoon. A few years later, I finally decide to scribble down a review of the thing. Yeah, it’s how I work. Limbo tells the story of a young widow who had to move back to her home town after the tragic death of her husband, and start a new life with her young daughter. Only, soon after returning, she’s being sued by the town douche bag that I imagine looks like Bill Paxton’s character in True Lies. Oh, and also there’s the issue of the vengeful spirit of another young girl that has ties to the young woman’s past, wreaking all sorts of wackiness on the townsfolk. Overall, Limbo was a pretty decent supernatural ghost story that was straight-forwardly written and managed to keep things interesting from start to finish. 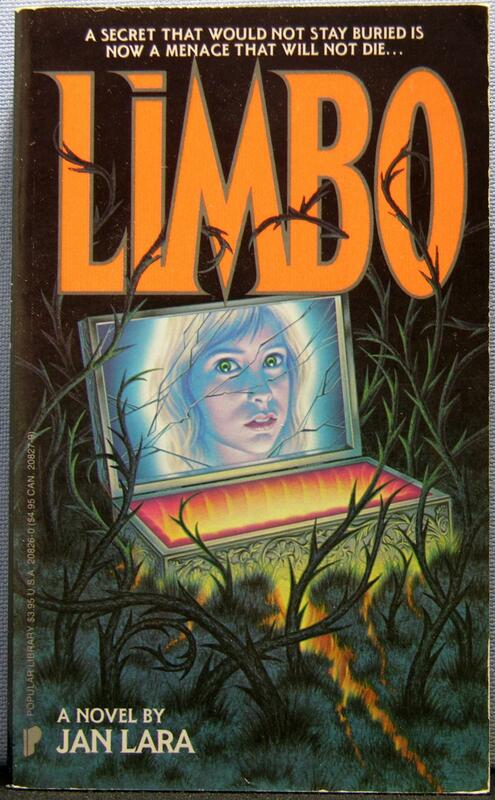 For another in a long line of paperback horror novels, Limbo was a pleasant surprise. It’s not going to unseat any of the masters any time soon, but it’s worth checking out if you run across it at a used book shop some time.